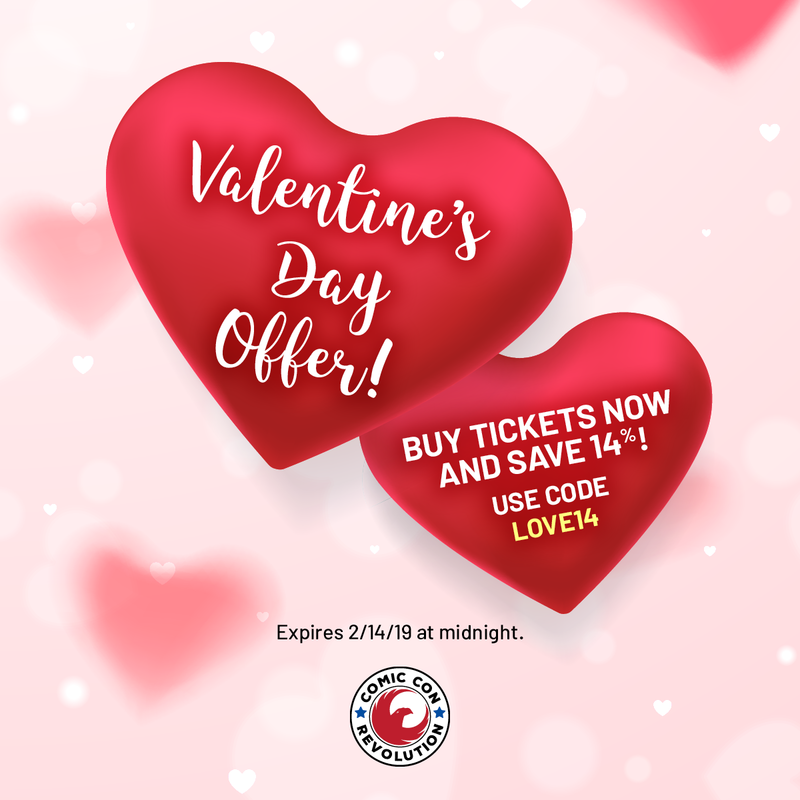 GIVE THE GIFT OF COMIC CON FOR VALENTINE'S DAY AND SAVE 14%! Need a gift for that special someone in your life? Comic Con Revolution makes a great gift so be your sweetheart's superhero and give the gift of comic con and save 14% off your tickets! Use code LOVE14at check out. UPDATED - *Sale ends Monday February 18th at 11:59pm so act fast.